As spring semester comes to an end and students leave to embark on their summer journeys, some believe that Bryan College Station turns into a ghost town. However, we are here to prove otherwise! Read below on how to immerse yourself in the summer happenings of #bcstx. One of the “must-do” events in Bryan College Station includes First Friday! 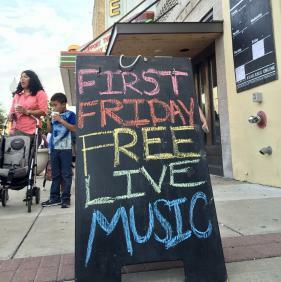 Come out and enjoy this wonderful local event the first Friday of every month in Downtown Bryan. With live music and more food than you could imagine, be sure to mark your calendars for this perfect night out! Fist bumping, head bobbing and two stepping. If any of these dance moves are something that interests you, head to Bryan College Station where we offer enough music to feed your soul! This summer has many concert series in store, including the Starlight Music Series at Wolf Pen Creek, the Acoustic Summer Series at Hurricane Harry’s, the Lake Bryan Concert Series, the Summer Nights Concert Series at Lake Walk Town Center and the Summer Sunset Series in Downtown Bryan. 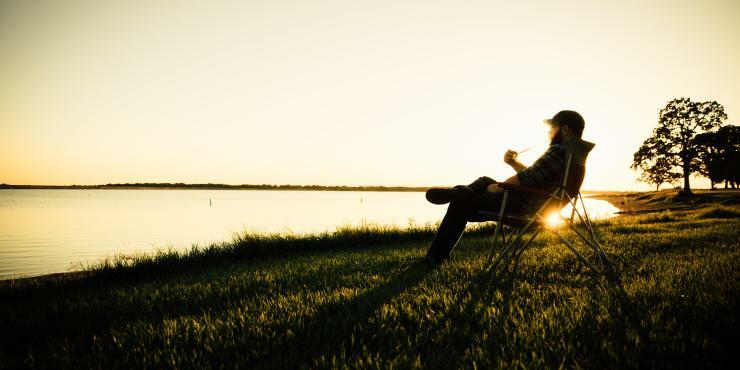 From listening to your favorite songs under the stars, to music by the lake, we know you will enjoy the summery tunes of Bryan College Station! The nightlife in Bryan College Station features both the Northgate District and Downtown Bryan. These areas are filled with live music, awesome drink specials, and a wonderful, friendly atmosphere. Come out and take a pic at our famous Bottle Cap Alley or venture next door to the oldest bar on Northgate, The Dixie Chicken, for an exciting game of 42, Aggieland’s version of dominos! Come out and celebrate the birth of our great nation at the George H.W Bush Presidential Library and Museum for their “I Love America” Fourth of July celebration. The library will have FREE admission all day, and will host festivities including live music and a firework show. This celebration offers an enjoyable July 4th experience for the whole family. So, bring your kids, lawn chairs, picnic blankets and enjoy the beautiful light show that honors our great nation. The Cheers to Craft Beer festival in Downtown Bryan is the place for you to be during this harsh summer heat! The festival will be held on July 22nd, so mark your calendars and buy your tickets today before supplies run out. Your ticket will come with a koozie and access to samples of a variety of craft beer! When it comes to great wine and a friendly atmosphere, Messina Hof Winery is the perfect place for you! This family-owned winery has been harvesting and bottling some of the best wine in Texas for almost 40 years. Stop by in the summer time for the famous Harvest Festival which will be held every weekend from July 28th until August 19th. Kick off those shoes and get to stomping! These are just a few events that are being held in the Bryan College Station area this summer. Be sure to be on the lookout for more posts on the wonderful adventures of Aggieland. We hope you will experience Bryan College Station this summer for yourself!